This entry was posted in Travel and tagged garden, rain, trees, walk. Bookmark the permalink. Son unos árboles impresionantes. Estupendas fotos. Gracias – they were amazing trees! Nice collection of trees, Meg. 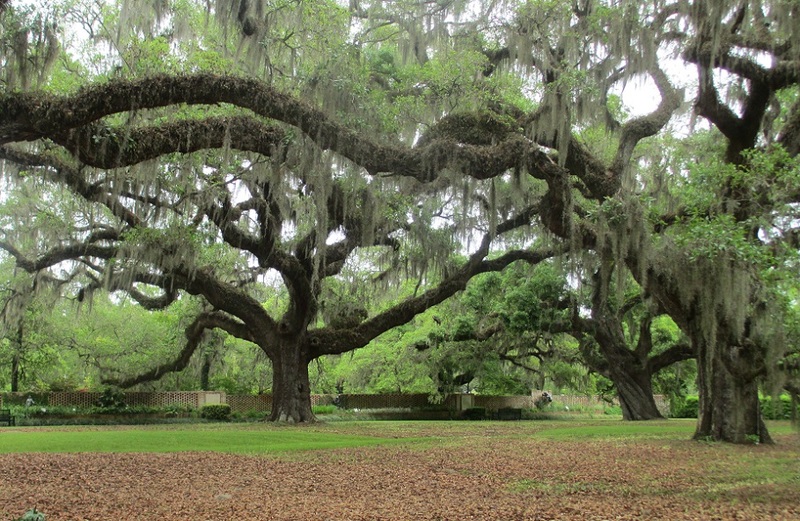 I especially like the live oak with its sweeping arms draped with Spanish moss; just one of those things I love about the south. The ones at the bottom really shows their age. I bet they’ve been part of so much history. I agree -they are some of the most interesting trees I’ve ever seen! That moss hanging from the trees gives them a magical look. I thought that too – the moss has an ethereal look! A great selection, Meg. Each has a unique quality, but all are beautiful! Thank you Elisa. It was so interesting to see the contrast between the old, established trees and the freshness of the younger ones! It was wonderful and the rain didn’t matter at all – it simply added to the drama! I love the old trees! I like to think of all the people who have passed by them, sat under them and touched them over the years. Great pictures. These trees, with the moss, always amaze me. Just beautiful. It was a wonderful way to spend an afternoon – wandering among those lovely trees! Your post is fantastic and I can’t wait to see Milan! Meg, Milan is’nt a magic place. There are many things to see but in Italy there are really a lot of wonderful places. Anyway I’m sure you’ll be happy to spend a nice holiday in Milan. Thanks Bea – I think it will be a great holiday! They were some very impressive trees! Meg, this is a lovely series–that first shot, so beautifully framed, is the perfect invitation! 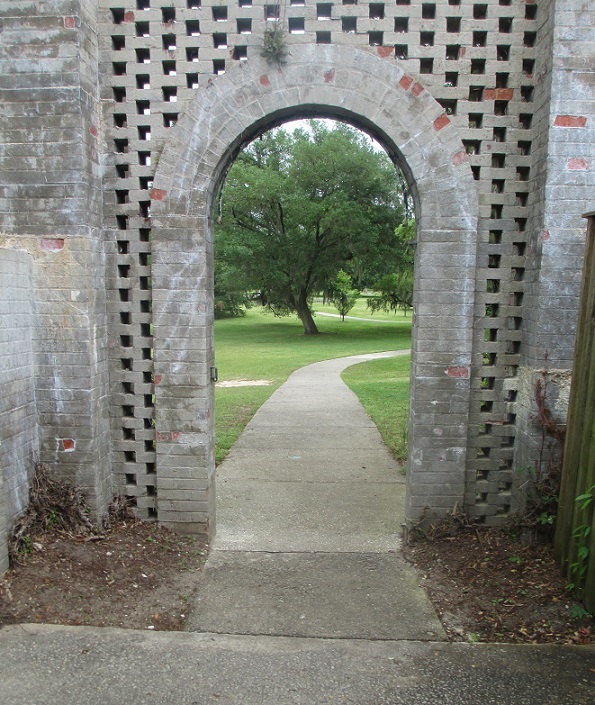 Thank you Naomi – that tree was so stately and I wanted to walk through the arch to see it better! Incredible beautiful photos – especially the last one. Thank You. I just love old trees with interesting shapes. To me, they tell all kinds of stories. I agree – these trees have a lot of personality! impressive gallery of trees, Meg! beautiful! Thanks – they were some of the prettiest and most interesting trees I’ve seen in a long time! I LOVE that last photo. I so want to be there. That was my first visit to Myrtle Beach and I definitely want to go back soon! Did you ride the Skywheel? Not yet but it looks like fun – next time for sure!